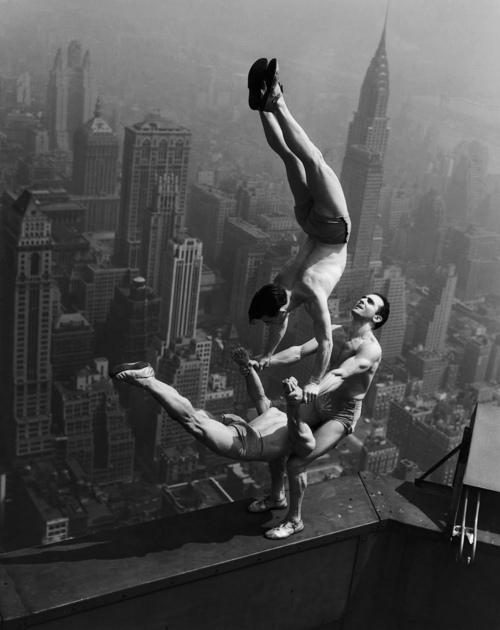 This is an old photo of three acrobats doing insane hand-to-hand balancing on the edge of a building. While each of the movements on there own are not particularly difficult, all of them put together with the added pressure of falling from that height make this unbelievable. where is this photo from? Are there any more? I found this photo scouring the internet while researching hand-to-hand balancing. I will definitely post more in the future. Handyman in Toronto Canada I cannot thank you enough for the blog article.Really looking forward to read more. Great.